Local animal lover Claire Forey was on hand with her rescue dog Dan to present the crew with this potentially lifesaving equipment. Claire kindly donated the equipment and Ron Ewing from Smokey Paws was on hand to deliver input to the crew on its use. Area Manager Paul Devlin, Smokey Paws ambassador, said “The introduction of this equipment enhances our response and will allow our crews to deliver oxygen therapy to pets that have suffered from smoke inhalation. Many people regard their pets as family members and if we can intervene with the Smokey Paws equipment and help to save a pets life then we will do so”. 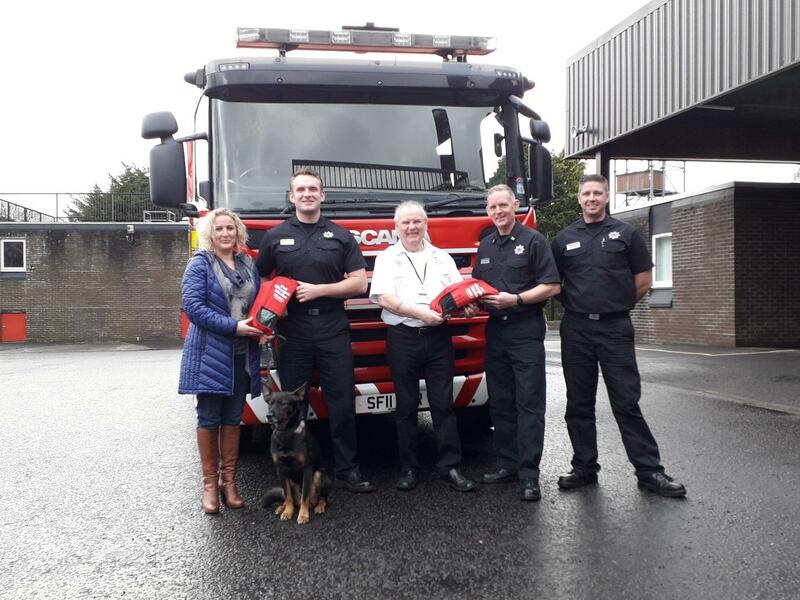 Over 200 stations in the Scottish Fire and Rescue service are now equipped with Smokey Paws kits!